Students learn legal concepts best when they can actively engage and participate with actual case materials. But for high school students studying our legal system, “engaging” might not be the first word that comes to mind. So what better way to bring the judicial process to life for civics and history classes than to bring a real live judge to the classroom? That’s the inspired idea behind the highly regarded in-school program called “Courtroom in the Classroom,” which is presented by the Illinois Judges Association (IJA). The program focus is on a United States Supreme Court case, New Jersey v. T.L.O., which decided a Fourth Amendment issue that ought to generate strong student opinions: Is it constitutional for school officials to search a student’s possessions at school without a warrant? 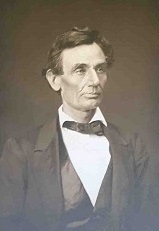 After students read the case in advance, a volunteer judge will spend a class period giving an overview of the three branches of government and the Illinois court system followed by a wide-ranging discussion of the case and the real-world ramifications of the holding. The program aims to challenge students to engage in critical thinking about the legal issues involved in the case, and to connect those issues back to everyday life. Member judges will contact local area schools to participate in the program, which will target juniors and seniors in history, civics, or current events classes. Through this community outreach effort, judges hope to open the eyes of students to the important role our courts play in our society today and perhaps inspire the lawyers and judges of the future. "This program has been a real hit with students. Having a judge come to the classroom and dialog with students about these important issues gives the students a terrific opportunity to ask questions and relate legal issues to their daily lives," said Justice Carol Pope, the creator of the program. 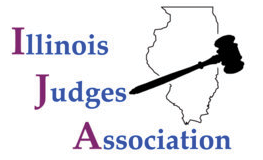 The 1,250-member Illinois Judges Association, which works to foster public confidence in an independent judiciary, is located at 321 S. Plymouth Court, Chicago, IL 60604-3997, and can be reached by phone at (312) 431-1283 or online at www.ija.org.